World Tourism Day "Tourism and the Digital Transformation"
Since the time that Rethymno’s Tourism Promotion Committee was formed, back in 2007, our members have worked together in order to share ideas, trade contacts and leverage their passion for hospitality. The professionals of Rethymno have shown special interest in developing friendships and contacts so as to attract travelers across the globe to stay in our unique destination. Many of them have been returning year after year exactly like you: all of our invaluable repeaters. At the same time, since “modern cities face increasing sustainability and operational challenges due to their increasing complexity”, there’s a high need to enrich Tourism with digital services. Smart technologies increase customer satisfaction, while also preparing us to meet the evolving needs of locals, visitors, enterprises, organizations. The use of digital marketing strategies helps travelers learn about all the things Rethymno has to offer, even before they book their holidays. Tradition and culture as a tourist product, sustainability, and viability in a sensitive natural ecosystem, as also flexibility to meet the demands of the new age of ‘travel’, need Digital Transformation. Dear friends, we are pleased to announce the launching of Rethymno’s new official tourist website www.rethymno.guide . We are pretty sure that the promotion of Tourism will be accelerated in times to come, due to a new approach towards “Tourism and Digital Transformation” by adopting digital strategies we haven’t tried before. We have rolled out a fresh new digital approach and created a brand-new website that will attract travelers looking for a vacation experience with a personal touch and an assurance of quality, by providing them with all the necessary information, ahead, during and after their invaluable vacation time. • It provides visitors with information for better communication besides PC, & via mobile & tablet. • It provides the right person with the right message at the right time. • It guarantees an easy access with a finger touch to our tours and activities indicating, besides maps and useful information, the hospitality, culture and the unique environment that Rethymno has to offer. • All the activities are updated online throughout the year on the Calendar for quick access. • It presents relevant News & Events, high-quality images or videos, especially for those enjoying and looking for an authentic experience during their visit. • It offers accessible, special and “open visits & tours” for everybody. • It boosts Tourism to different attractions in areas around Rethymno. • It invites all visitors to share their travel photos and experience with others. Their invaluable feedback is always taken into consideration for our future planning. • Moreover, www.rethymno.guide, is a useful tool in order to track important website metrics. By learning from the relevant data, we can design better design e-marketing approaches. In addition, it analyzes travel behavior by collecting data through questionnaires online and reading the search and the booking preferences of visitors before and after their visit. Another new Direct marketing Digital Promotion Initiative is Heraklion Airport.Another new Direct marketing Digital Promotion Initiative is Heraklion Airport. Since August 2018, the initiative of Rethymno’s Tourism Promotion Committee for the Airport digital promotion, gives us the vast opportunity to capitalize on the great number of proposals passing through each and every day, in an active “discussion”/interaction with our visitors, during their arrival to Crete via Heraklion Αirport Nikos Kazantzakis, as a regional hub that demonstrates and underlines what Rethymno has to offer. 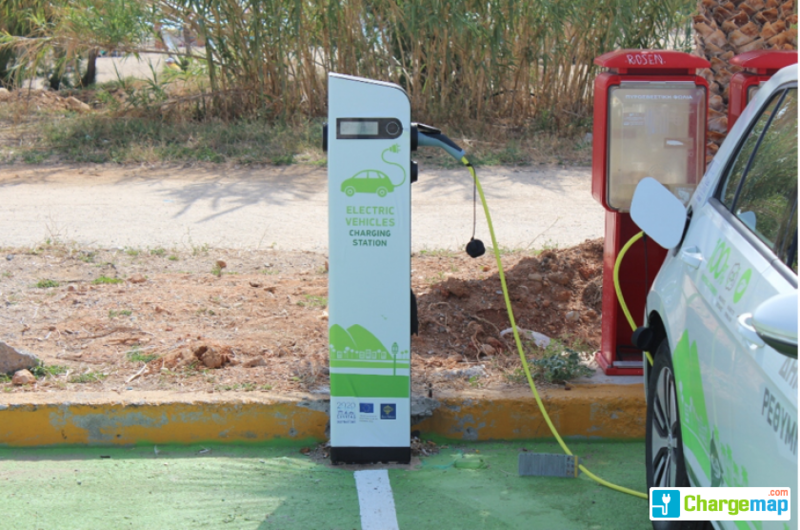 Rethymno is always promoting the use of e-bikes for environmentally friendly sustainable mobility means of transportation and for delivery and logistics purposes. The city of Rethymno, being bicycle-friendly has launched a new friendlier ‘bike share’ service in order to offer to its residents and visitors, affordable and sustainable transportation offer. European Wine City 2018, a title awarded by the European Network of Wine Cities RECEVIN. In the context of events organized throughout the year, the Municipality of Rethymno has prepared a full week devoted to Cretan wine and Cretan gastronomy until Saturday 29th September 2018. In addition, for the first time in the city of Rethymno, on Friday, September 28, three special wine tours will take place from 18:00 to 21:00 (one hour each), in the Old Town of Rethymno, which will combine a guided tour with stops at some restaurants and wine bars for Cretan-wine tasting .